Jessica Korda stole the show this week at the Honda LPGA Thailand, winning the star-studded event by four strokes in her first start since undergoing serious jaw surgery to address a significant overbite that led to ailments ranging from facial cramping to headaches to sleep apnea. But just four strokes behind Korda finished Lexi Thompson, who may have challenged for the win on Sunday if not for another rules controversy during the second round of the event. Thompson, who was famously assessed two two-stroke penalties last year at the ANA Inspiration that ultimately cost her the title, was hit with another two-stroke penalty on Friday in Thailand after she moved a sign out of her swing path at Siam Country Club. The 23-year-old mistakenly thought a billboard on t he 15th hole was a moveable object, when in fact, the local rule deemed this particular advertisement a "temporary immovable obstruction." The two-stroke penalty was assesed after the round, where the par she made on the hole became a double bogey and what would have been a 66 ballooned into a 68. Justin Thomas won his eighth PGA Tour victory over the weekend, outlasting Luke List in a playoff at the Honda Classic. But the win wasn't the only thing golf fans were discussing after the event. The reigning PGA Tour Player of the Year, who has been very vocal about "unacceptable" fan behavior behind the ropes in recent weeks, helped get one fan kicked out of the Honda Classic for rooting (very loudly) against him, shouting â" after Thomas had swung â" for his shots to find hazards. On-course microphones caught Thomas confronting the fan and asking for him to be removed after teeing off on the 16th hole. But the 24-year-old was singing a slightly different tune Monday on Twitter. After receiving plenty of backlash from those who didn't think the fan's heckling had crossed the line, Thomas apologized to anyone offended by his actions and admitting that he felt bad about overreacting and having the fan removed from the event. Despite admitting that he wished he'd gone about things differently, Thomas reiterated his initial intent and remained steadfast that the fan's yelling was "completely unnecessary." He also tweeted his thanks to all the fans who show up and watch PGA Tour events each and every week, even t hough this incident had cost him "quite a few" supporters. Hoggard: Big news today from the USGA. A few decades of tradition have been changed with officials announcing the playoff format for the U.S. Open will go from an 18-hole Monday finish to a two-hole aggregate playoff. Willy, there's a lot to unpack here. Thoughts? Gray: I'm conflicted. This makes a ton of logistical sense, as it's in everyone's best interest to crown a winner Sunday night. But there's admittedly a part of me that will miss the occasional 18-hole Monday slog to decide the most grueling major. For something that popped up only about once per decade, I'm a little sad to see it kicked to the curb. Hoggard: Spoken like a guy who never had to hang around for a Monday playoff at the U.S. Open. It is worth noting that the last Monday playoff at the Open was 2008, and we all know how historic and entertaining that was, but otherwise it leads to an anti-climactic finish in front of far fewer fans. Tiger v. Rocco was great, but the odds of that happening are always low. Gray: Yes, there won't be any oral histories about Retief Goosen and Mark Brooks tangling at Southern Hills 17 years ago, but they can't all be instant classics. Can we at least agree that the move to a two-hole aggregate seems a bit ... random? Hoggard: Random works. Odd may be a better way to describe. It seems the USGA tested the waters with the U.S. Women's Open, which went to a three-hole playoff a few years ago, and had some success. It seems the game's rules makers (R&A, USGA, PGA of America, Augusta National) would consider some sort of uniform answer instead of everybody doing their own thing. Three-hole playoffs just feel right. Gray:< /strong> I agree that of the four options, I like three-hole the best (kudos, PGA of America). A single good shot holds a ton of weight, but a single bad shot won't necessarily end the tournament. Goldilocks style. But it does seem like the USGA surveyed the landscape, saw that one-, three-, and four-hole playoff options were already taken, and went for door No. 4. But given that USGA exec Mike Davis said as recently as June that the playoff format wouldn't change on his watch, are you surprised that they made the change? Hoggard: Strange, indeed, but then it's been a busy few days for Davis (see last week's dinner with Jack Nicklaus), so maybe he was distracted. I will say that although I'm a fan of moving away from the 18-hole playoff, social media is curiously filled with folks who, like you, enjoy their blazers blue and their playoffs of the 18-hole variety. Odd that in this day of instant media this is so popular. < p>Gray: It was unique! Here I am thinking brand differentiation is a positive. Alas. Hoggard: You have an old soul, young Will. I will also point out that a lot of this will depend on what two holes the USGA uses for the playoff. With par being such an important number at the U.S. Open, this could quickly fade into a blur of fairways, greens and uninspired golf. Gray: Yes, but remember this is the U.S. Open we're talking about â" the only major championship where par is malleable. Perhaps the dream scenario is just to play a par-9 couplet for the title. Hoggard: Here's my worry: the final two holes at Shinnecock Hills, site of this year's championship, go par 3, par 4, and they likely would be the playoff stops. Not a lot of room for separation there. The Players seems to have gotten it right with a three-hole overtime on Nos. 16, 17 and 18, which give you the best chance for two-way traffic. Gray: It's a valid point that course routing would have a big role in dictating the best possible option. Hard to think that a par 3 as one of only two playoff holes is ideal, but I think back to Chambers Bay and recall that Nos. 1 and 18 running side-by-side would have made for a pretty sweet scene. That three-hole run at TPC Sawgrass works on a variety of fronts. But the 18-hole option is gone now, for better or worse. Does that mean that (gasp) the Masters and its sudden-death format is the worst of the four major playoff options â" or at least the most arbitrary? Hoggard: It is certainly the least-imaginative, but then when it comes to the Masters you could probably have a "putt off" on the 18th green and it would still be entertaining. Augusta National would be the perfect place for a two-hole playoff, No. 18 first and then the 10th. Gray: An Amen Corner playoff r emains the dream, even if the sunlight of early April won't allow it. Build some floodlights behind the 13th green, I say. But back to the original topic, I guess we'll just have to wait and see how it plays out. You and I have both certainly felt the media center tremors that the U.S. Open is overdue for the p-word, meaning that we're sure to get one this summer. Hoggard: No chance we don't get a playoff this year and you and I both will be over the moon when it finishes Sunday. We can talk about how cool the old format was on the plane ride home on Monday. Kudos, USGA. Last weekendâs exhilaration watching Tiger Woods race ahead of schedule in his return to the game comes with a bit of a hangover this morning. Last weekendâs fun comes with a headache yet to conquer. There is still so much work left for Woods to catch up to the legion of young stars taking control of the game. 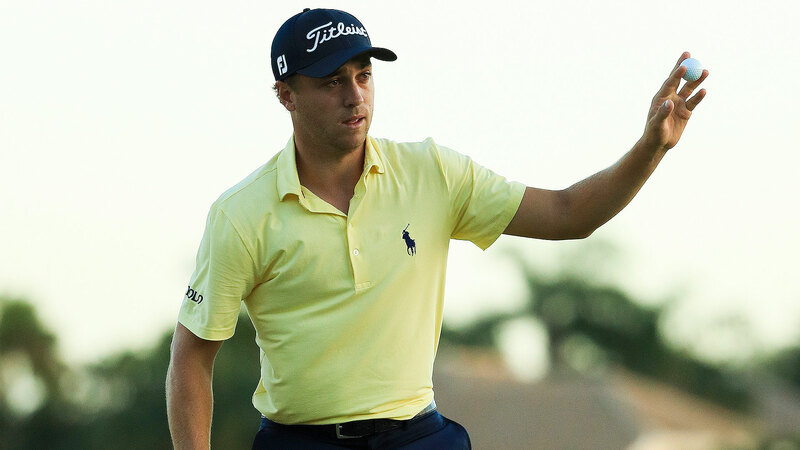 He couldnât catch Justin Thomas Sunday at the Honda Classic, with Thomas winning his eighth PGA Tour title at 24, which se ts Thomas up for a run at back-to-back Player of the Year awards. 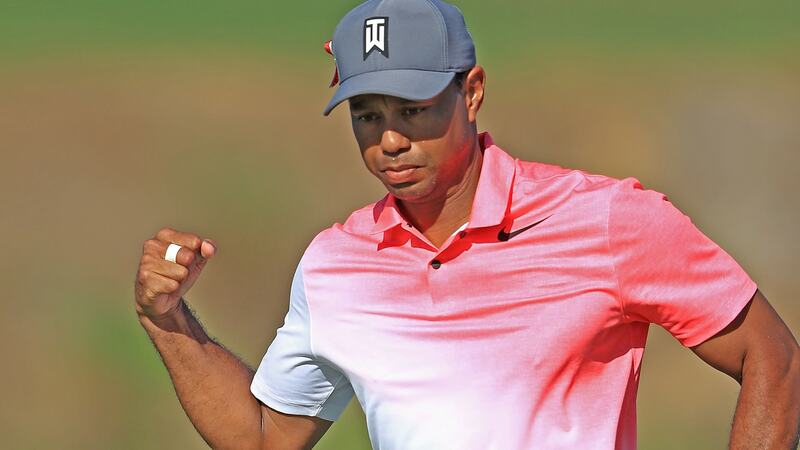 As good as Woods looked at PGA National, as much promise as he showed in just his third PGA Tour start after yet another back surgery, he finished eight shots behind Thomas. Yes, thatâs not the number that mattered in any reasonable measurement of where Woods is in his comeback, but he flipped a switch in Palm Beach Gardens, Fla. The tempered expectations arenât so tempered anymore. âMy expectations have gone up,â Woods said. 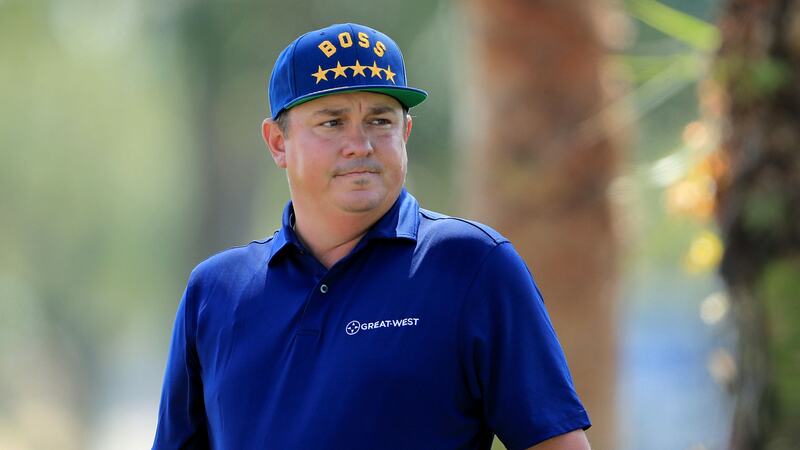 How the 42-year-old fares against Thomas, Rory McIlroy, Jordan Spieth, Jon Rahm, Hideki Matsuyama, Brooks Koepka, Rickie Fowler and the other 20something stars will be the gauge going forward. Yes, and Dustin Johnson and Jason Day, too. They may be in their 30s now, but they are in their primes. As Woods stepped to the first tee Sunday to try to make a run at the leaders, the challenge beyond the week looked him square in the eye a nd smiled. His fellow competitor, Sam Burns, a 21-year-old playing on a sponsor exemption, reminded Woods that formidable new waves of youth are going to pour in behind Spieth, McIlroy and Thomas. Woods saw in Burns how these young guys have the ultimate respect for him, but no fear of him. Burns acknowledged being extremely nervous meeting Woods for the first time at the first tee, but then he striped his tee shot down the middle. And then he nestled up alongside Woods walking down the first fairway, to crack an ice-breaking joke. âMan, itâs crazy all these people came out to watch me today, isnât it?â Burns said. Burns was good naturedly bantering, enjoying his chance to play against Woods for the first time outside a video game. Leaving Honda, Woods was asked if he was beginning to feel like the âold Tigerâ again. Burns beat Woods Sunday, putting up a 68 with Woods shooting 70. Yes, that score didnât really matter in the lens we were using to evaluate where Woods is at in his comeback, but it matters going forward. It always mattered in the past to Woods, too. He was all about beating everybody. There was territory to be staked, messages to be delivered and advantages to be built in every pairing. Woods wonât be getting any younger, so Father Time will keep stealing advantages he once built. But thereâs one special place where Woods may yet have immunity to that. If his game keeps coming together this quickly, thereâs one place he still holds the advantage on these young guys. 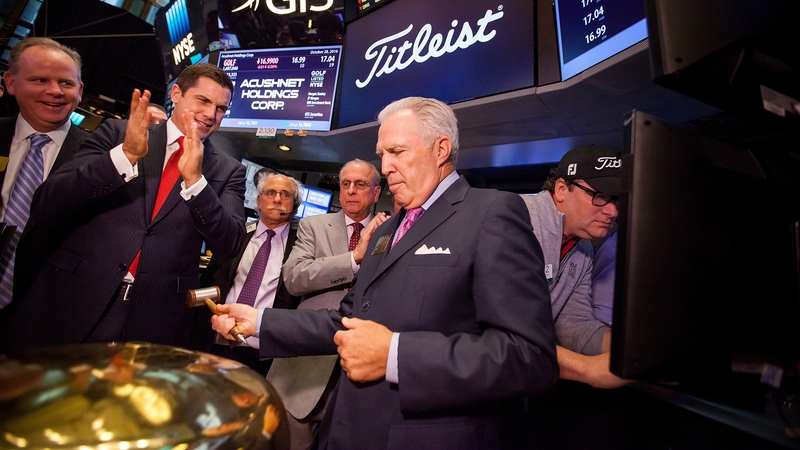 You know where this going, to Augusta National, and the Masters. With his swing speed remarkably reinvigorated, with his iron play coming back, with his short game restored, all he needs is for his putter to return to full blossom with all those dogwoods and azaleas. 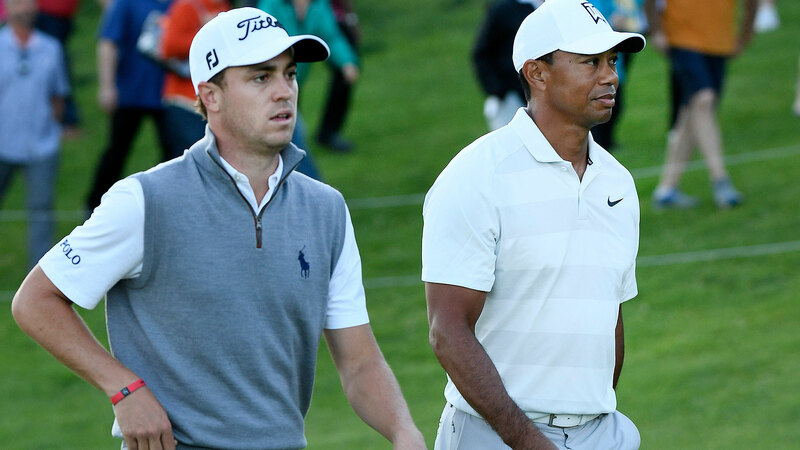 Augusta National is the one place where Woods can most emphatically turn the tables on all these young stars, even Spieth, who has a victory and two second-place finishes in the last four years. The Masters is five weeks away, but if Woods keeps putting his game together, he wonât feel five weeks older. He may look 10 years younger. Thatâs the transformative effect Augusta National has on players who know how to unlock its secrets. Jack Nicklaus, of course, won there at 46, but he also made that Sunday run at the leaders when he was 58. Ben Crenshaw won there when he was 43, Gary Player when he was 42 and Sam Snead when he was almost 42. Raymond Floyd, Bernhard Langer and Fred Couples remained competitive there into their 50s. While Woods has work to do catching all these young stars on the gameâs larger landscape, the tables could easily reverse at Augusta, where youth may very well be wasted on the young. Woods doesnât need all his powers back to be special there again. He knows that. He knows itâs where all these young guys may have to measure up to him again. As his flurry of victories continued at the Honda Classic, Justin Thomas inched closer to the top spot in the U.S. Ryder Cup standings. Thomas edged Luke List in a one-hole playoff to win at PGA National, his seventh win in his last 31 official starts. His Ryder Cup point total after the victory now stands at 4,163, only 36 points behind world No. 1 Dustin Johnson. Players earn one point per dollar in tournaments this year, with 1.5 points per dollar in majors and two points per dollar to winners of majors. Days after being named one of Furyk's vice captains, Tiger Woods moved to 76th in the American points race with a 12th-place finish at PGA National. The top eight U.S. players after the PGA Championship will qualify automatical ly for Paris, with captain Jim Furyk rounding out the roster with four picks in September.